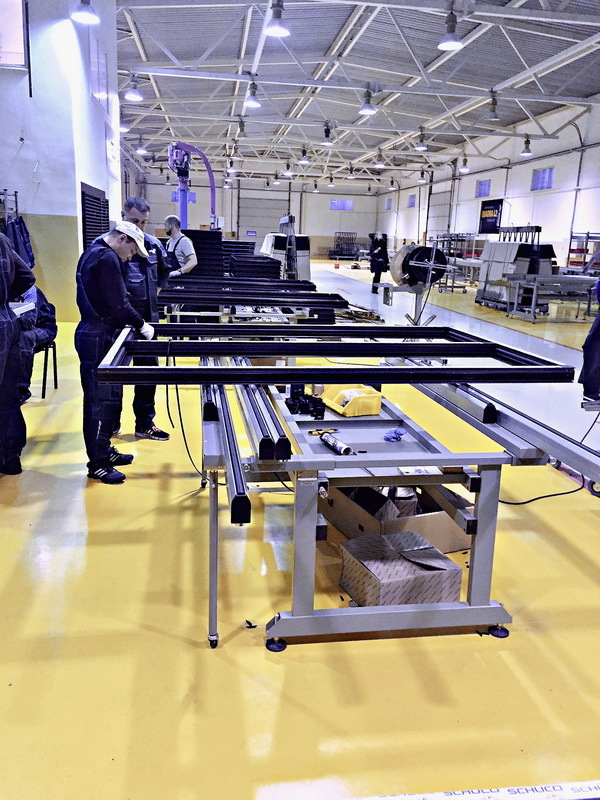 Technological process of manufacturing transparent façade, skylights, window or door systems consists of several stages which vary according to the technical aspects of processing each type of product. 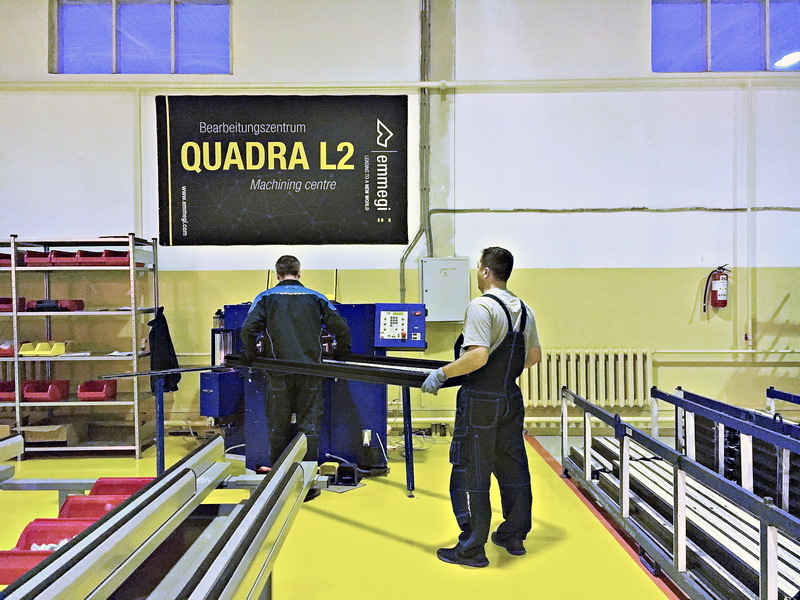 The first technological stage of manufacturing window/door or unitized systems is the profile rolling-up (assembly) on the Isomat 4, 5 rabbeting machine. 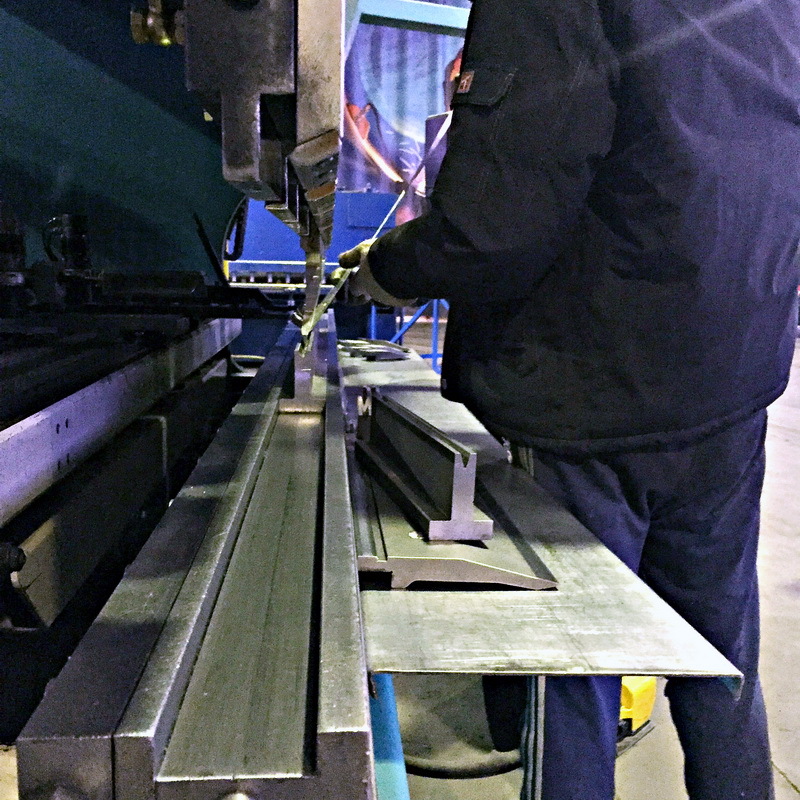 The profile machining includes such operations as profile cutting, drilling and milling. 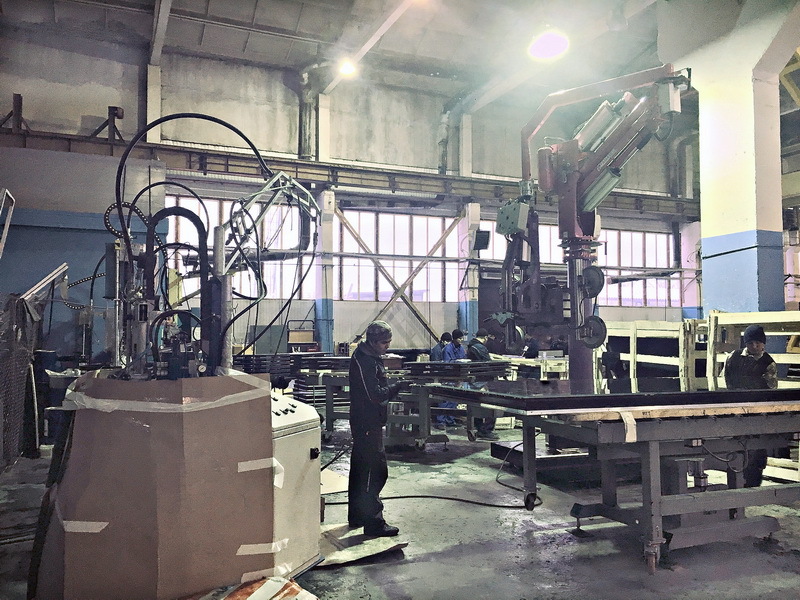 Profiles are processed by Quadra, Satellite XL, Planet T automated centers and by Combi Assi Star double head saw (two-side cutting, dihedral angles cutting) and Radial Star double head saw (cutting the profile with up to 380mm width). 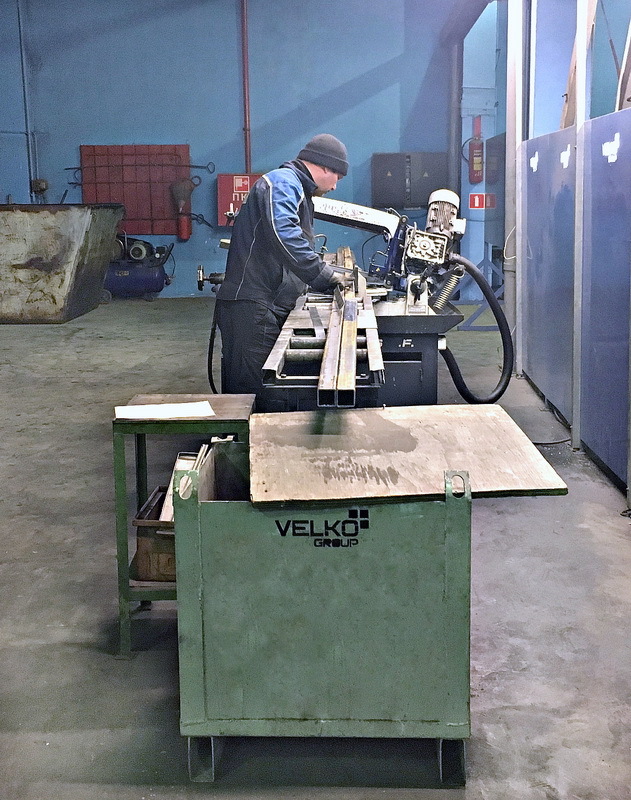 Bending of steel and aluminium profile with the dimensions up to 250x150mm is carried out by 3C with the possible min radius of 200mm. 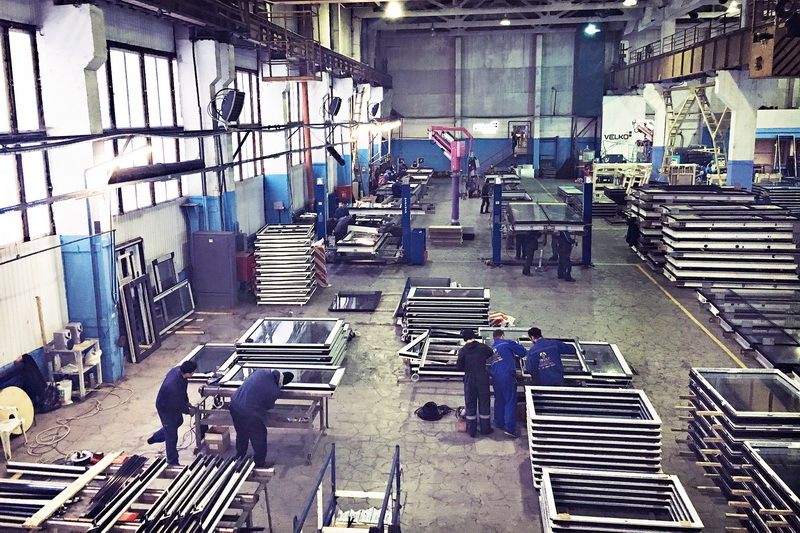 For window and door systems, e.g. 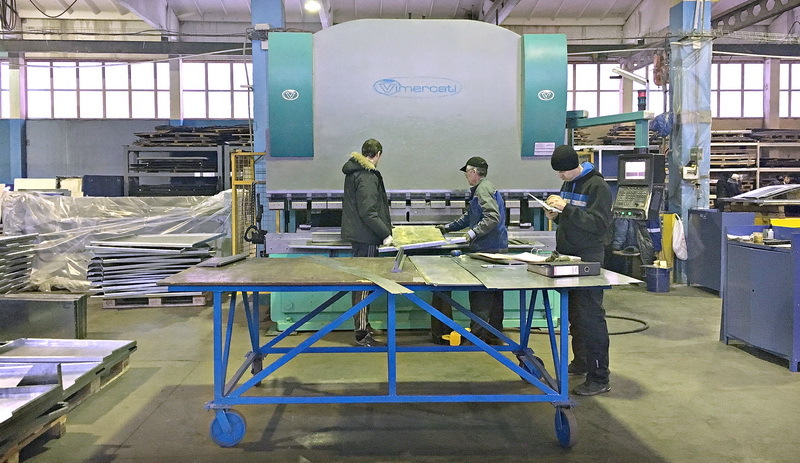 frames or leaves, the pressure process implies as joining the angles by the single-head angle press. 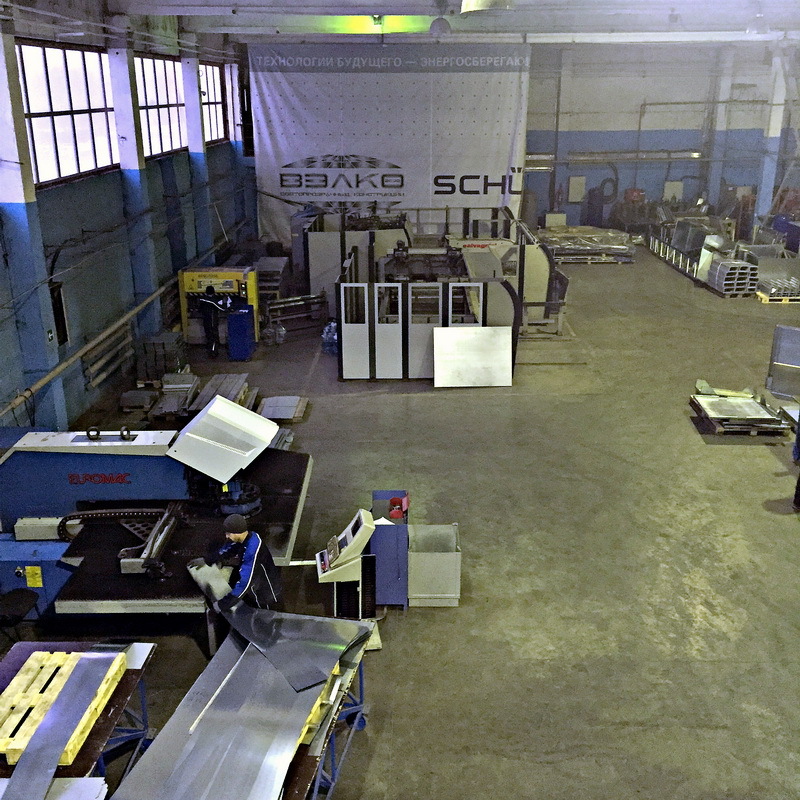 As for the unitized facade systems the angles are pressed with Schueco 4-head angle pressed. 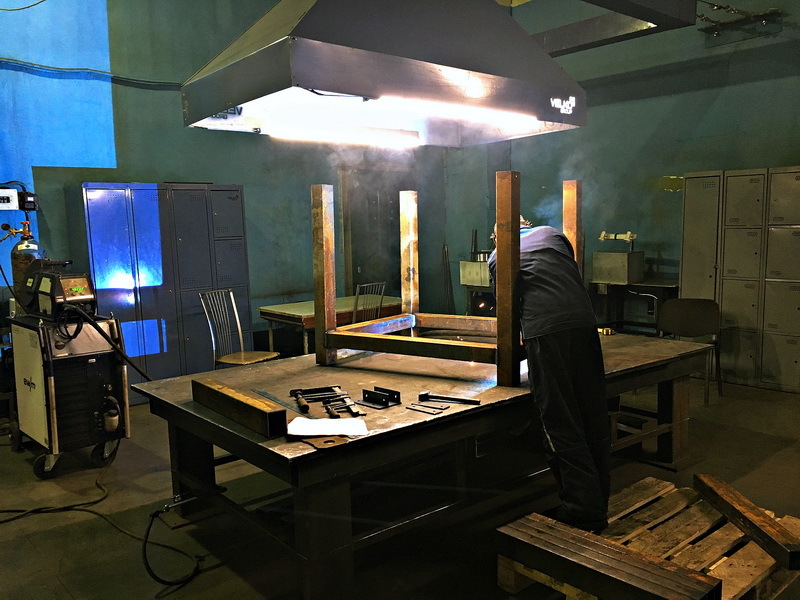 Production of façade elements cannot be completed without needed components (brackets, metal abutments and shadow boxes). 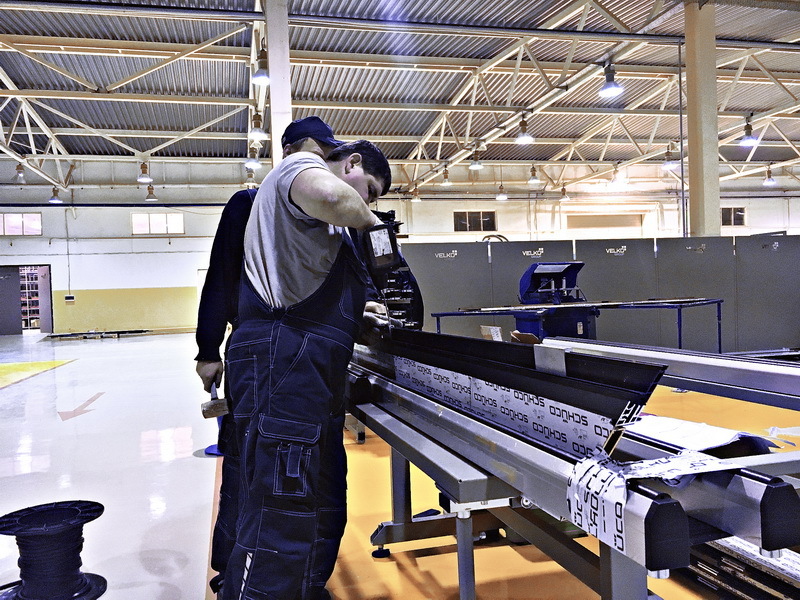 These auxiliaries are implemented in the metal sheet elements production shop and welding shop. 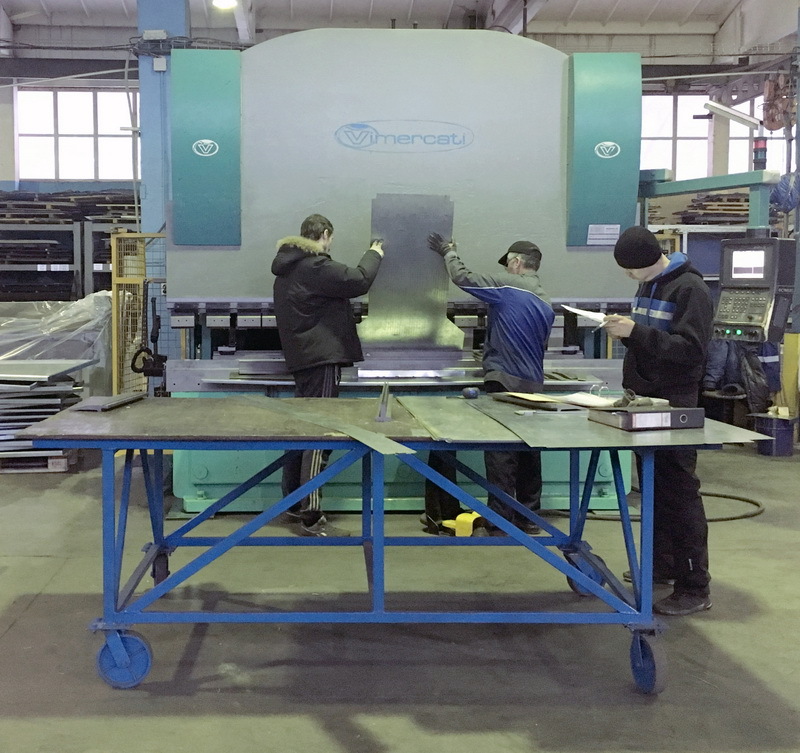 Metal sheet production is equipped with hydrualic shears, punch press, bending machines and laser cutting unit. 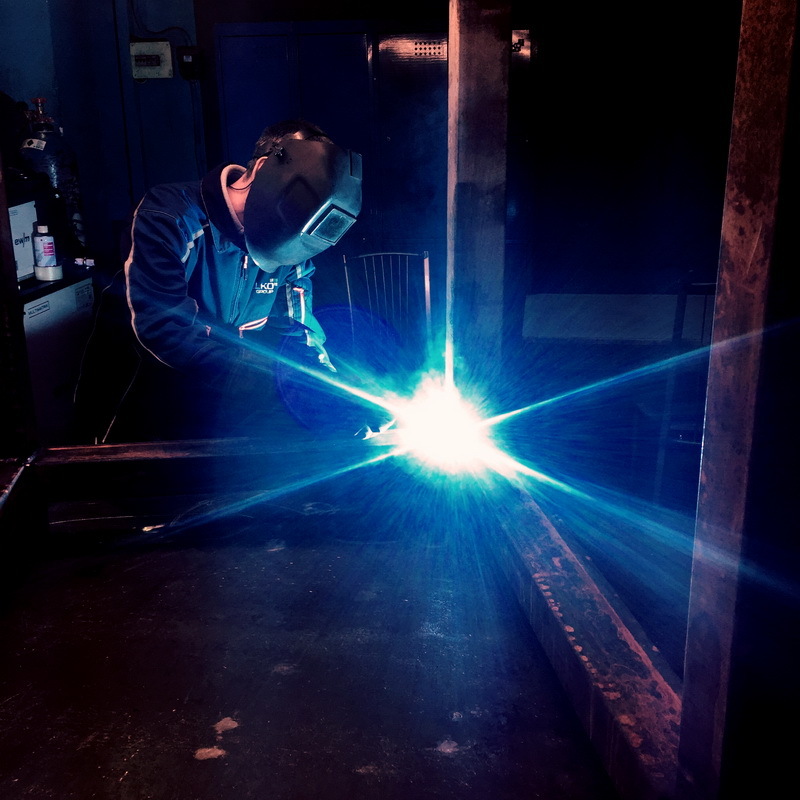 Welding is carried out by electro arc method as well as gas-shielding. 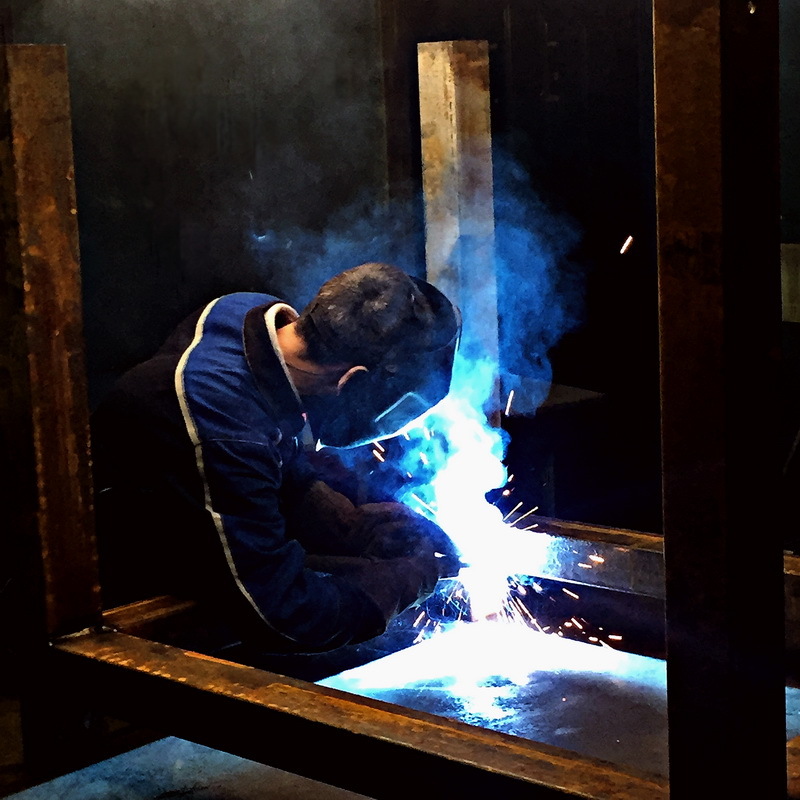 The next step is gasket insertion. 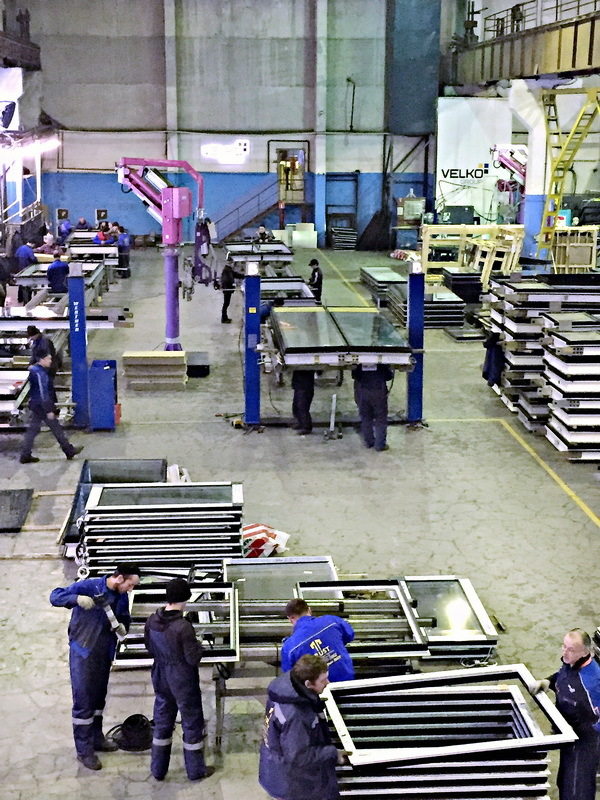 In most cases gasket are inserted in window/door and facade systems by the DEM PR mechanized gasket insertion installation. 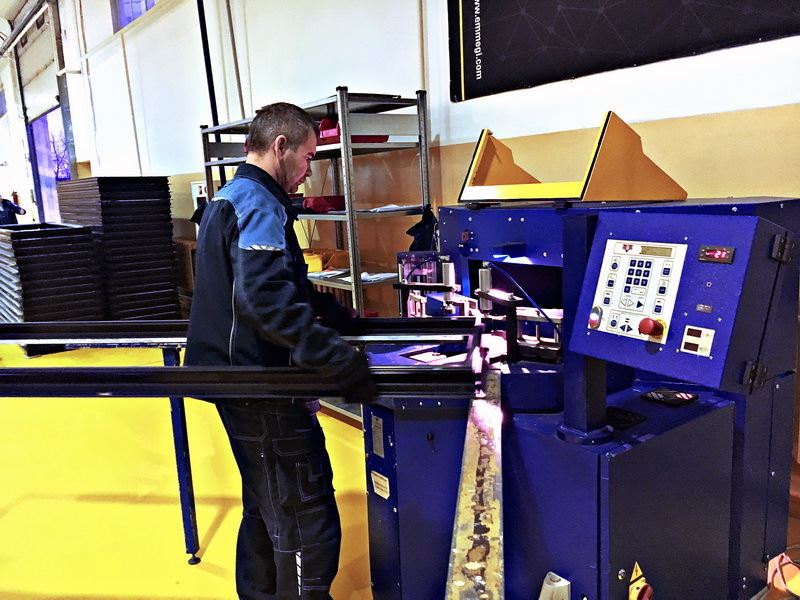 In some cases due to the technological peculiar features of a glazed structure the gaskets can be inserted manually. 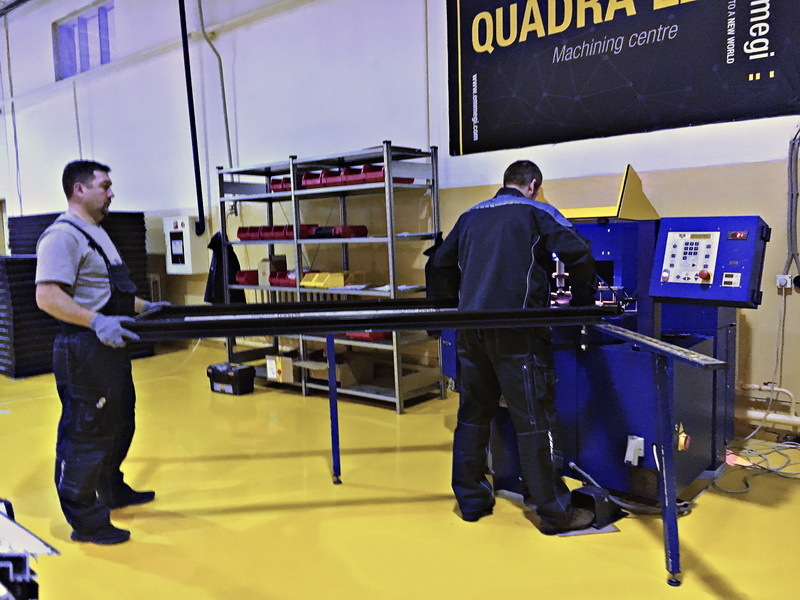 As soon as the gaskets are mounted on the elements they are assembled into a structure as a whole. 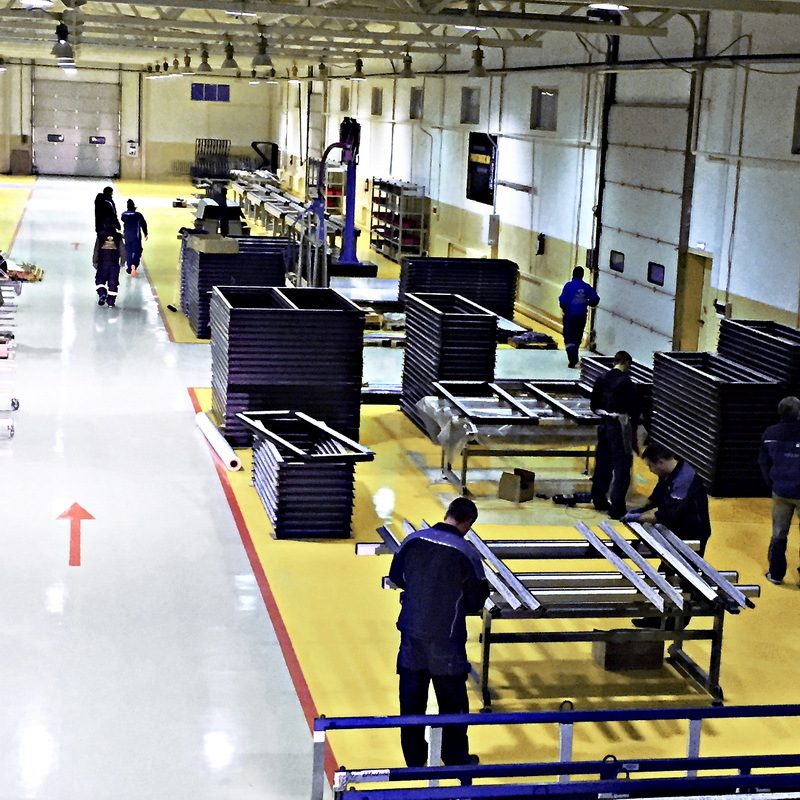 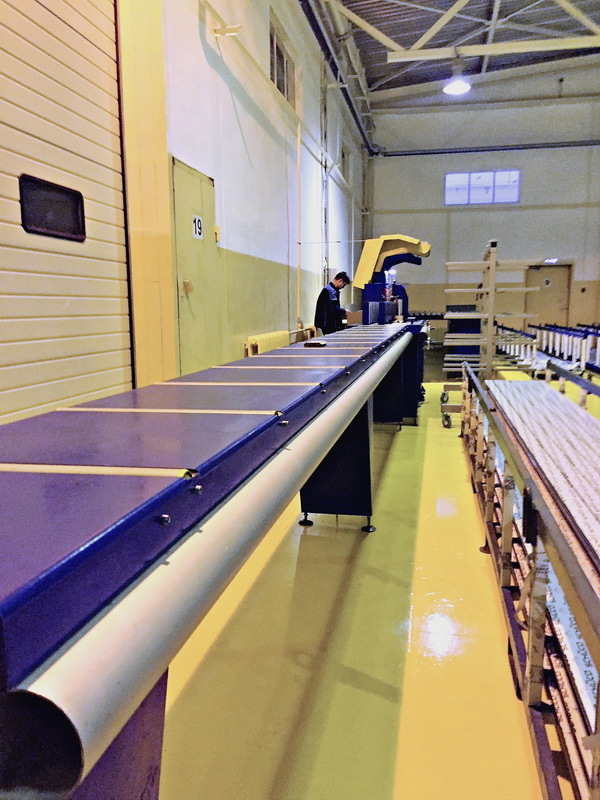 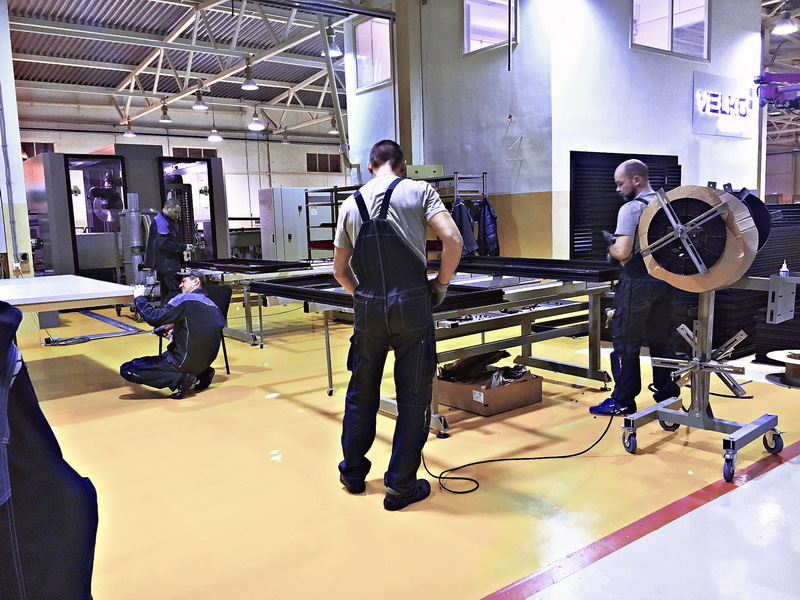 Standard structures (unitized façade elements, windows and doors) are assembled by EMMEGY production lines. 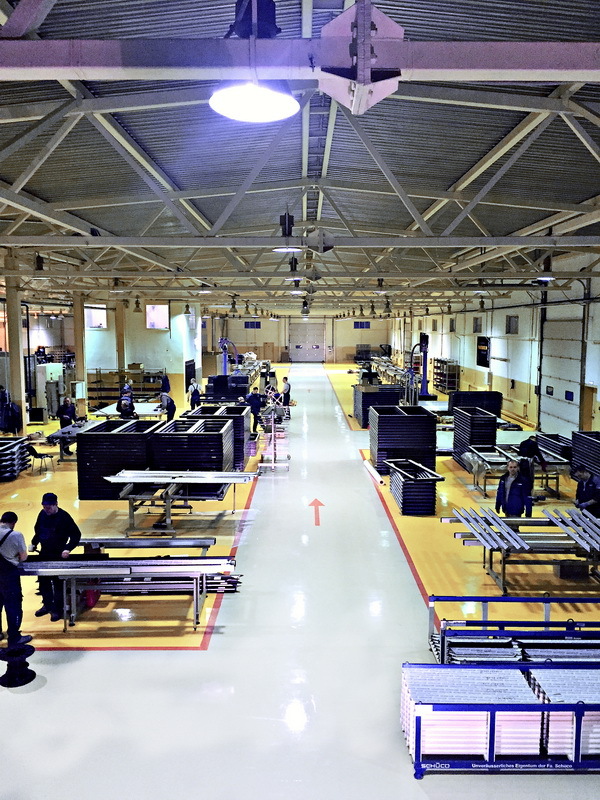 Unique structures are assembled manually.